JB Ranch is a small community of single-family homes on acreage in the Olive Hill area of Fallbrook in North County San Diego. Residents here enjoy the privacy offered by the rolling hills and oak groves, as well as plenty of room for horses, family orchards, expansive outdoor living areas, and guest quarters. A short drive will deliver you to the movie theater in Bonsall, shops and restaurants in downtown Fallbrook, and the expanded options offered in Oceanside and Vista. Hiking and riding trails are minutes away, boarding and training stables are located throughout Fallbrook, the Hellers Bend nature preserve abuts the neighborhood, and the beach is only about 20 minutes away. If you are looking for a home that allows you to enjoy the tranquility and privacy of semi-rural living without sacrificing the convenience of nearby shopping, dining, and entertainment options, be sure to add JB Ranch to your list of Fallbrook neighborhoods to explore. 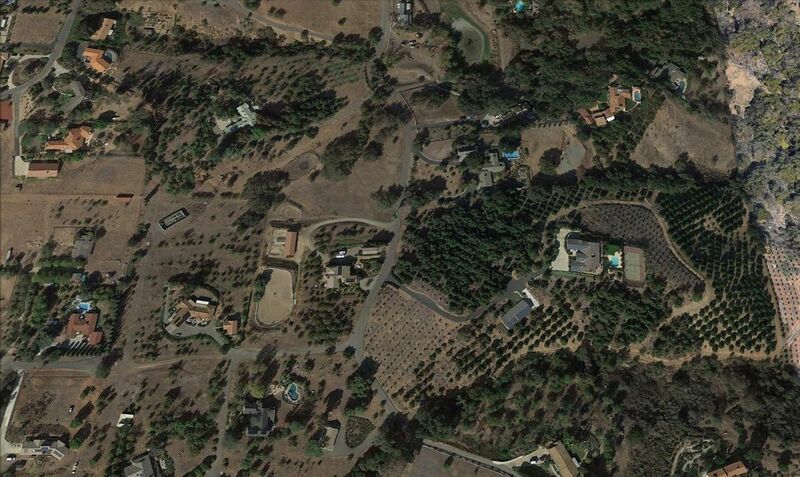 After settlement of the area, Fallbrook land was primarily used for agriculture, including growing citrus, avocados, olives, nuts, and flowers. There are still orchards, flower fields and farms in the area growing these and other types of produce today. JB Ranch is a small community of detached, single-family homes on acreage. Most of the properties here are between about 2.25 acres and five acres in size and are spread over rolling hills with groves of oak trees. Homes here are moderately priced when compared to other North County neighborhoods offering large lots and similar amenities, such as guest houses, family orchards, horse facilities, swimming pools, and well-designed outdoor living areas. There are only about two dozen parcels in JB Ranch, and most have existing homes, so if you are hoping to buy or build your dream home in this Fallbrook neighborhood, you will need to keep a close eye on the market to know when homes or lots come up for sale. Folks living in JB Ranch can easily reach the main shopping center in Bonsall – River Village Plaza – by taking Olive Hill Road south to Highway 76. This is where you will go when you want to catch the latest release on the big screen. There is also a handful of restaurants and salons, shops, healthcare providers, a wine shop, a dance school, a barber shop, and many professional services. Or you can make your way north on Olive Hill Road or South Mission Road to head towards downtown Fallbrook. If you take South Mission Road, you will find local favorites along the way like Button and Burlap, Hawthorne Country Store and Casa Estrella. If you are drawn to Fallbrook for the country lifestyle and the opportunity to raise livestock or create your own homestead, you will probably be spending plenty of time at Hawthorne Country Store where you can buy everything from garden seeds and canning supplies to hardware and tack. They also host an annual homesteading fair at their Escondido location and seminars throughout the year. The three main shopping centers in Fallbrook are Colony Plaza Shopping Center, Mercantile Shopping Center, and Fallbrook Towne Centre. In and around these plazas is where you will find most of your shopping and dining options in Fallbrook, as well as just about all of your everyday essentials. This includes professional services, healthcare providers, gas stations, pharmacies, grocery stores, mail stops, banks, and salons. 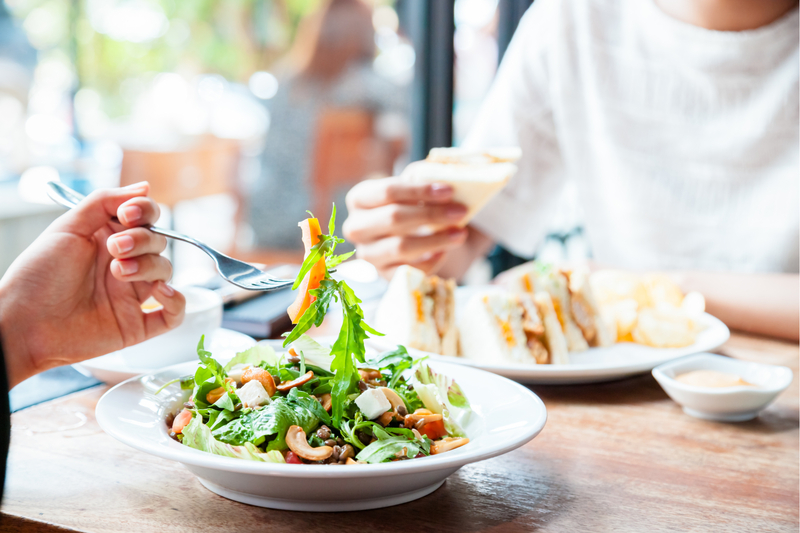 For dining, Fallbrook has well-known eateries, such as Chipotle, Denny’s, and Domino’s, as well as many local favorites, like Trupiano’s Italian Bistro, Firehouse Que & Brew, Garden Center Café & Grill, Main Street Café, and Dominick’s Sandwiches. For your coffee fix, you can opt for Starbucks or Fallbrook Coffee Company. There are also several wine tasting rooms in the Fallbrook area and the Fallbrook Brewing Company’s tasting room is located right on Main Avenue. You can head to the weekly farmers market to stock up on local produce and browse artisan wares, shop for handmade gifts at craft fairs held throughout the year, or create your own art at an Art on the Farm class at Old Fliegler’s Farm in the adjacent community of Rancho Camino. If you are interested in more formal art classes, check out the Fallbrook School of Arts, which is just one of several organizations that have helped Fallbrook become established as an art destination. Named to John Villani’s 100 Best Art Towns in America, Fallbrook is also home to Mission Theater, Fallbrook Film Factory, Brandon Gallery, and the Fallbrook Art Center. You can even enjoy public art installations as you wander through downtown and can stop at Café de Artistes for the historic soda fountain or a sweet or savory treat. Whether you live in Fallbrook or are just visiting, there is a good chance that some type of community event will be happening while you are in town. There are movies in the park, Pops on the Green, bi-monthly bingo nights at the senior center, family wellness fairs, monthly networking events, and lots of festivals and events, such as the Fallbrook Avocado Festival, Fallbrook Scarecrow Days, Summer Carnival, Easter Brunch, the Spring Fine Art Show, Fallbrook Garden Club Tour, and the Fallbrook Christmas Parade. If you happen to be in Fallbrook when there is not a community event going on, you will still find plenty to do. You can always head about 20 minutes west to Oceanside to spend the day at the beach, or head just east of the neighborhood to hike the trails in Hellers Bend. There is also the Bonsall Preserve just down Olive Hill Road, or Los Jilgueres Preserve to the north off South Mission Road. These three preserves, along with eight others and several miles of trails in the Santa Margarita River Trail System, are managed by the Fallbrook Land Conservancy. Most of the nature preserves offer at least some public access, but there are sometimes partial or complete closures to protect vulnerable habitats, so you will want to be sure to check their website. This will also help you learn more about the different preserves and the trails you can explore in each one. While the local nature preserves are home to the closest hiking trails, you can find many more miles of trails with more diverse terrain in Palomar Mountain State Park, Cleveland National Forest, and the San Luis Rey River Trail System. If you do not mind venturing a little farther from home, there are more than 160 hiking, riding and biking trails and paths throughout North County San Diego for you to explore. If you prefer outdoor recreation in a more manicured setting, there is the Fallbrook Tennis Club, Vista Valley Country Club, Arrowood Golf Course, Oceanside Golf Course, Welk Resort, Marine Memorial Golf Course, Golf Club of California, and Pala Mesa Resort. There are also public tennis courts at the Fallbrook Community Center and Park, which offers a playground, basketball court, sand volleyball courts and picnic areas. At the community center, you will also find a broad selection of programs that include sports leagues, art classes, fitness classes, and activities for residents and visitors of all ages. Fallbrook is home to several community parks, including the 27-acre Live Oak Park, which has walking trails, sports courts, picnic areas, and the nearest off-leash dog park. Other nearby parks include Ingold Sports Park, Don Dussault County Park, Clemmens Lane Park, and Ball Park. Because of its location near the border of Fallbrook and Oceanside, you can easily reach many of Oceanside’s offerings, such as Guajome Regional Park and Melba Bishop Park & Recreation Center. This is where you will find the closest skate park, as well as lots of other park amenities and community programming for all ages. 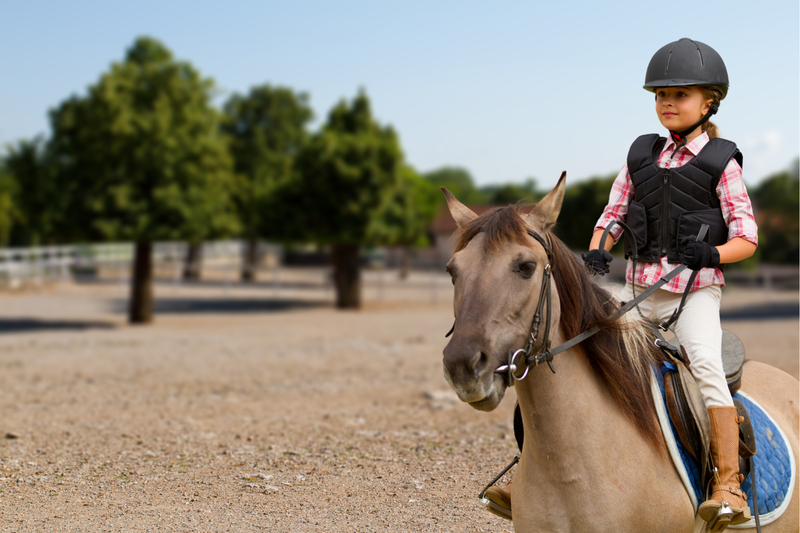 If you prefer to keep your horses at a boarding facility, there are plenty to choose from in around Fallbrook, so you should have no trouble finding boarding or training stables to fit your needs. And, for summer camps for the kids, the closest option is in the adjacent Rancho Camino neighborhood where Old Fliegler’s Farm hosts day camps where kids between the ages of six and eleven can learn to make goat cheese, plant and harvest crops, make soap, or care for barnyard animals. Students living in the JB Ranch neighborhood are served by the Fallbrook Union Elementary School District and the Fallbrook Union High School District. Those attending public schools in these districts generally attend Fallbrook Street Elementary School, James E. Potter Junior High School and Fallbrook High School. Other options include Fallbrook Homeschool Academy and Ivy Continuation High School. JB Ranch is located in southwestern Fallbrook, which makes it possible for students to conveniently attend private schools in Oceanside, Vista or Fallbrook. The closest options are located in Fallbrook and include A Step in Time Preschool, Peppertree Montessori, Fallbrook Montessori, Montessori Adolescent Academy, St. Peter the Apostle Catholic School, Covenant Christian Academy, Rock Rose School for Creative Learning, Zion Lutheran School, Spirit Mountain School, and Alpha & Omega Academy. 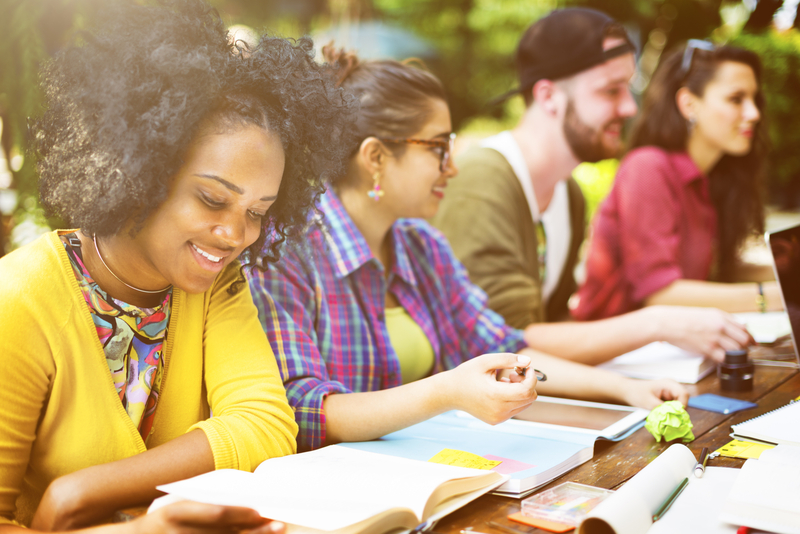 Adult learners also have plenty of options nearby, including the Fallbrook Campus of Palomar College, MiraCosta College, Miramar College, San Joaquin Valley College, John Paul the Great Catholic University, National University, and California State University San Marcos. JB Ranch is located north of Rancho Camino, west of Hellers Bend and San Luis Rey Heights, and east of Olive Hill Road in the Olive Hill area of Fallbrook. Homes here are located primarily on Ladera Vista Road, which is accessed from the junction of Burma Road and Olive Hill Road. Map Photo Credit: Google 2018, Real estate and demographic data gathered from Neighborhoods.com, Trulia.com, Redfin.com and Zillow.com.